Bloom Time: All summer until frost. Delightful mix will light up patios and partially shaded landscapes. 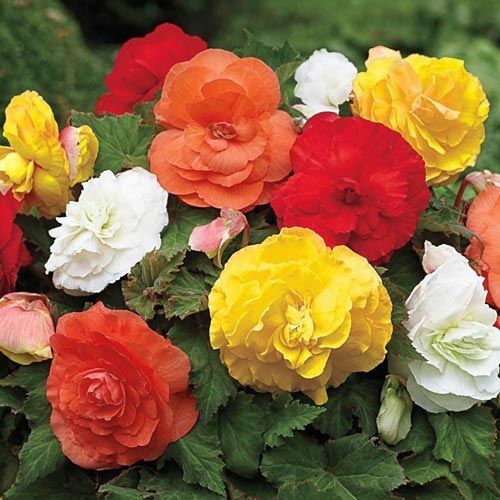 Our Giant Camellia Begonia Mix includes flowers ranging from delicate pastel hues to deep, rich shades accented by the broad, attractive foliage. The Giant Camellia Begonias, or Rose-Form Begonias, are the most spectacular of all the begonias. The fragrant, ruffled flowers make a big impact when planted in front borders, containers and hanging baskets. To produce blooms up to 6" across, pinch off the side buds. For an eye-catching display, cut a few blossoms and float them in a shallow bowl of water. Lift in fall. Bloom TimeAll summer until frost. 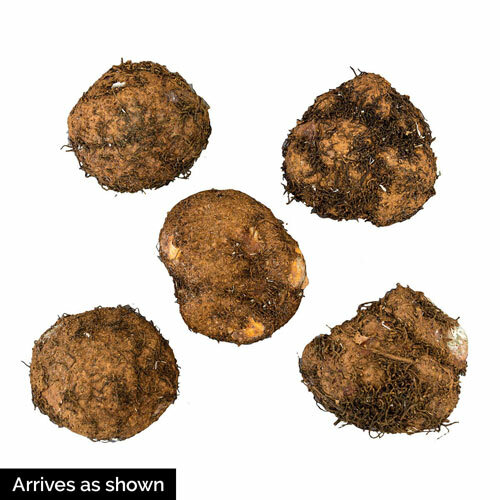 Soil RequirementsFertile, well drained, humus rich, neutral to slightly acidic soil. 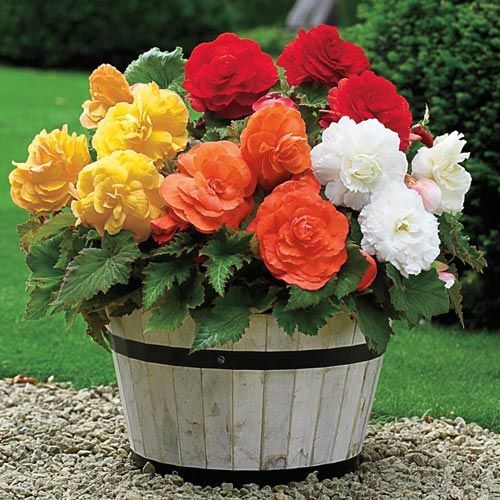 Never let the soil dry out; Begonias love moist soil. PruningOld blossoms drop off as new ones appear. No need for pruning. Winter CareLift in fall and store in a frost free location for the winter. Additional InformationFloat blossoms in a shallow bowl of water for a different twist to a cut flower display. Planting InstructionsPlace tuber hollow side up so that its top is 1" below soil surface. Prefers filtered light under trees or by north or east walls.